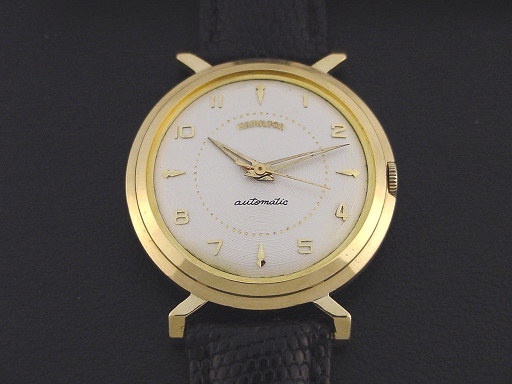 Very scarce Hamilton “Automatic K-150” men’s Retro Modern design wristwatch in solid 18K yellow gold and stainless steel, circa 1955. 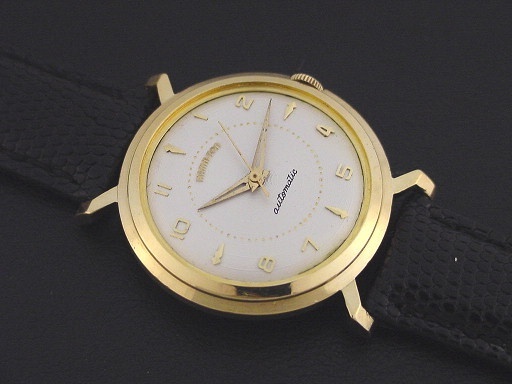 The “Automatic K-150” is a large watch and has a solid 18K yellow gold bezel and a stainless steel case back. It was priced at $175.00 in 1955. 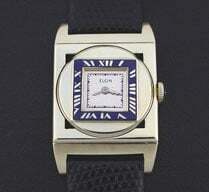 It is a very scarce watch and this is the first I have ever offered. This example is in excellent condition showing only very light wear. 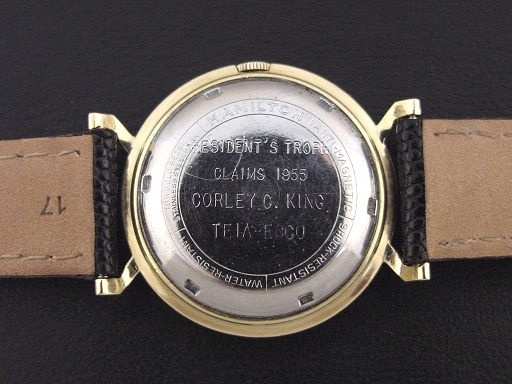 The caseback is excellent, with a presentation engraving. The case measures 40mm long and 34mm wide. 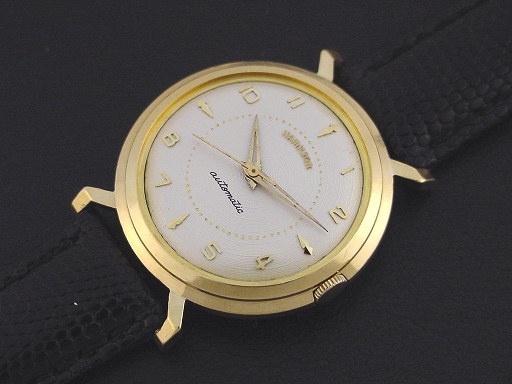 Refinished dial is superb, has solid 18K gold numerals and markers and a gold pearled minute track. Has new acrylic crystal. 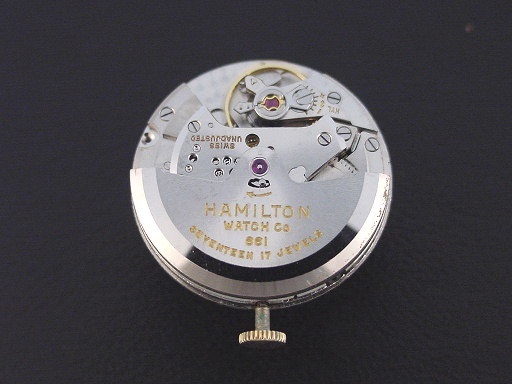 This watch is powered by its correct 17-jewel Hamilton grade 661 automatic wind movement, just serviced and running strong.